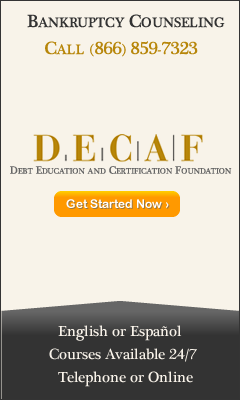 There are various ways to resolve escalating debt. Filing for bankruptcy is a common answer, but there are also workouts, consumer protection lawsuits, and other debt reduction strategies. Our bankruptcy attorneys have advised businesses and individuals in declaring bankruptcy, as well as other proceedings and can effectively answer any bankruptcy questions you may have, as well as help you decide which type of bankruptcy protection works best for you. If you need up-to-date bankruptcy information, call us. Chapter 7 - Individuals mainly use these types of bankruptcy, however it may also be used by businesses. Chapter 7 is also the most rigorous plan where a court-appointed trustee will sell assets to pay creditors. Chapter 13 - This type of bankruptcy is best suited for individual debtors with a steady income. Small business can also use it. Those filing for bankruptcy under Chapter 13 (“individual reorganization”) must reconcile debts over a specific period of time. When filing bankruptcy, you must first collect all financial information, including debts, tax returns and loan documents. With the help of a bankruptcy attorney, you will fill out the required bankruptcy forms (or schedules). An automatic stay takes effect instantly after filing for bankruptcy under the current U.S. bankruptcy laws. Contact our bankruptcy attorneys for in-depth bankruptcy information or to help you decide what type of bankruptcy filing best suits you or your business.